Overwhelmed, confused and stressed out at how to grow your business online? Then you’re in the right place..
Actionable strategies to build and grow your business online, EASILY. With over 10 years of Digital Marketing experience my mission is to empower, educate and support small business owners to build and grow their business online, easily and effortlessly and in an affordable way. Now available to buy on Kindle & in paperback from Amazon, this best selling book is a MUST for every entrepreneur. Dive into the free workbooks and videos created to help you with every step of your Digital Journey. Exclusive content, monthly Masterclasses from world class experts, all for an affordable monthly fee. 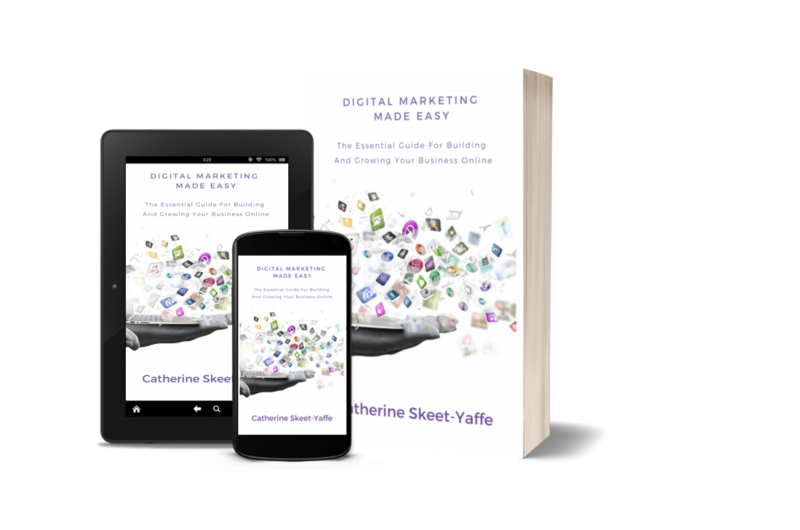 Plan, create, build and grow your Digital Marketing strategy with me and achieve incredible success, easily.